Update on this event coming soon…. 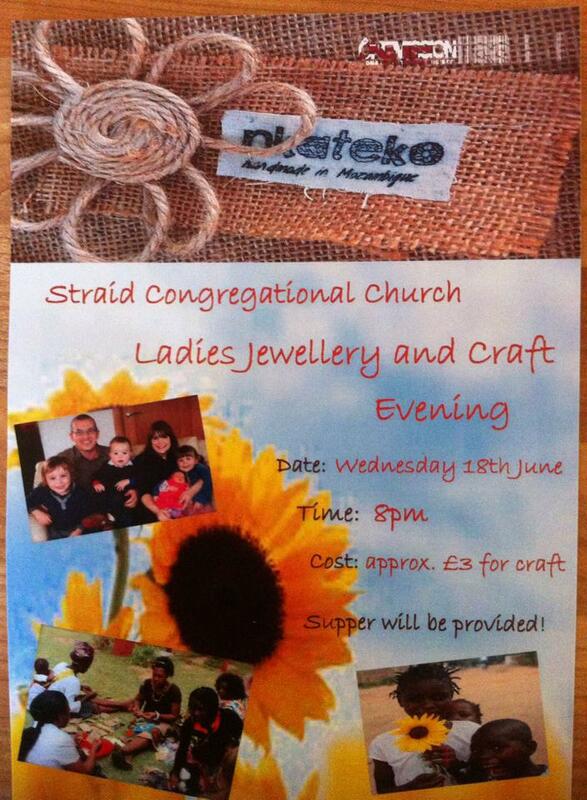 Straid jewellery & craft evening. On Wednesday 18th June we enjoyed a wonderful evening of craft, food and fellowship together at the Straid Congregational Church ladies Nkateko jewellery and craft evening. Ali explained the wonderful work being done in Mozambique and then demonstrated how to make a beautiful canvas to over 50 ladies. The jewellery being sold, all made by ladies in Mozambique, was very popular and was an opportunity for northern Irish women to be a part of the ongoing missionary work going on in Africa. All in all this was a fun and creative night, enjoyed by everyone who attended. Now ladies can remember to pray as they see their own hand made canvas hanging in their home. Thank you to all who helped to make it such a great evening.